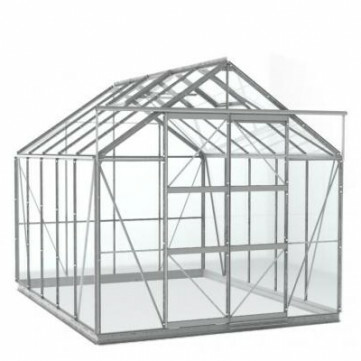 This Simplicity Stableford greenhouse is relatively simple to construct using the comprehensive instructions which have excellent illustrations. Fast UK customer support is available should you have any problems. This greenhouse is supplied as a self-assembly product. To get the most out of your Stableford greenhouse we have a range of Greenhouse Shelves and Greenhouse Staging available too. To help prevent plant diseases due to stagnant air, we also suggest the addition of Louvre Window Vents, which are normally fitted in the back end of the greenhouse, helping to create airflow from the bottom of the greehouse through to the top vents.